I usually don’t get talked into shilling for companies on this blog. But this resource is too good not to pass along. 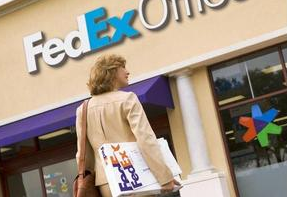 FedEx Office (most of us will remember them as Kinkos) is offering free resume printing this Tuesday, March 10. The company invites customers to take advantage of this one-day event by visiting any of its 1,600+ FedEx Office Print and Ship Centers in the United States during regular business hours. This offer is good for 25 black-and-white resume copies per customer and is only valid for orders placed and picked up in-store. Customers may place orders by submitting their resume in printed format or as a digital file, and the copies will be printed single-sided on resume-quality paper. PS. If you’re a FedEx Office executive or PR rep, drop me an email. I’ve got a business proposition for you relating to resume printing. How To Get Hired- Offer To Solve Their Problem, Contd.